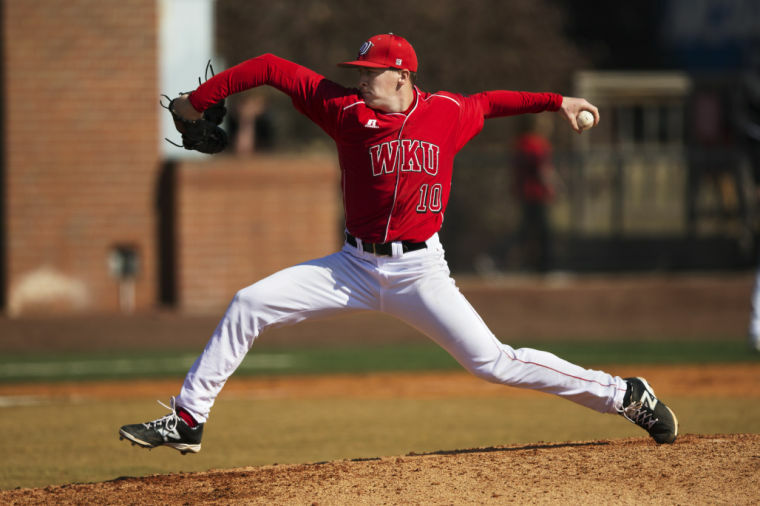 Former Tiger Baseball pitcher Ian Tompkins came in for the Western Kentucky Hilltoppers (6-2) to preserve a 3-2 lead and help the Tops defeat their highest ranked opponent in school history! Tompkins, a NCBWA Stopper of the Year Watch List member, struck out Ro Coleman of Vanderbilt to end the eighth and took the Commodores down in order during the ninth to earn his fourth save of the year. Tompkins leads the Sun Belt Conference with four saves and has not surrendered an earned run in his last 10 appearances dating back to April 28, 2013. It was an absolute pleasure to pitch in that game and be a part of WKU history! Love big wins but this one's special. Posted on February 25, 2014, in Former Tigers. Bookmark the permalink. Leave a comment.